Today's French papers are full of news from Algeria, where it looks as if ailing President Abdelaziz Bouteflika might finally be forced to stand aside. After weeks of popular protest, the president now appears to have lost the support of the armed forces. “Bouteflika gets the boot” reads Libération's irreverent headline. “The army wants to push the president aside,” is how financial paper Les Echos sums up the situation. Le Figaro says the military top brass have given in to popular pressure for the removal of the ailing leader. But the conservative daily also notes a fear among protestors that those who pull the strings of the far-from-transparent Algerian system are still capable of retaking control by brute force. Le Monde reports that Bouteflika appears to have lost the support, not only of the army, but also of the RND or National Democratic Rally, his principal bastion on the political front. 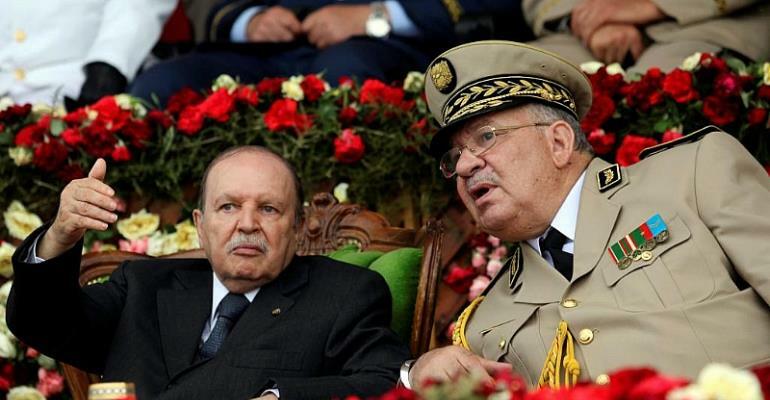 Yesterday, General Ahmed Gaïd Salah, chief of the Algerian armed forces, said it was time for the president to go. This morning the National Democratic Rally followed suit with its own recommendation that Bouteflika should step down. The ruling FLN or National Liberation Front has already distanced itself from the president. Is what appears to be happening really happening? So far, the whole affair is being handled with strict respect for the constitution. Let no one whisper the words “coup d'état”! As Ahmed Gaïd Salah was careful to point out on Tuesday, article 102 of the Algerian constitution allows for the destitution of the president if he becomes physically or mentally incapable of fulfilling his duties. However, in Les Echos, the author and analyst Mohamed Sifaoui says evoking article 102 is simply a manoeuvre by the regime. Sifaoui goes even further in claiming that the latest army move against the president was actually orchestrated with the full approval of Abdelaziz Bouteflika and his brothers. The practical point is to return power to the army, which installed Bouteflika in 1999, and make sure that the popular revolution does nothing to shake the system. So, who does run the show in Algeria? In an editorial, Le Figaro says the army has been all-powerful since independence. The right-wing Paris paper suggests that the military have made their move against the president now to ensure that the situation remains within their control. But the various clans which have, so far, shared the real power and wealth of the north African nation, will also have their word to say. Not to mention the unpredictable reaction of the crowds in the street. Algeria faces a leap into the unknown, according to Le Figaro. The Algerian writer Kamel Daoud tells Le Figaro that it's too early to pronounce on the motives of the army generals. But he also says that the people who have been protesting against Bouteflika over recent weeks want real change, not just a shuffle of the seats at the top table. Part of the problem is that the political opposition is very weak in Algeria, the inevitable result of decades of dictatorship. Kamel Daoud has been surprised by the rapidity of events. A couple of weeks ago, he would have said an army stance against the president was simply not possible. Now he thinks there's real hope for serious change, simply because the voice of the people has been heard by the shadowy men in the star chamber of Algerian power. But Daoud says he remains afraid. Algerian could still go down the bloody road which ruined Libya and Syria, or the only slightly less dangerous track which saw Egypt taken over by an army chief of staff hastily re-painted as a civilian president. And no one in Algeria will have forgotten the civil war which followed the cancellation of the 1990 parliamentary elections after it became clear that the Islamic Salvation Front was likely to win an overall majority. Kamel Daoud says religious fundamentalism remains a risk for Algeria. The islamists have plenty of money, popular support, and a very efficient network. They are also adept at pirating revolutionary movements. The only positive note is that the solid fundamentalist bloc forged during the civil war has since splintered into ten or more independent groups. And Kamel Daoud suggests that the horrors perpetrated in the name of Islam during the civil war will act as a sort of security device. No one will risk a return to those dark days and nights. Not willingly in any case.